Pravda Records started as a Chicago DIY punk label 1984. 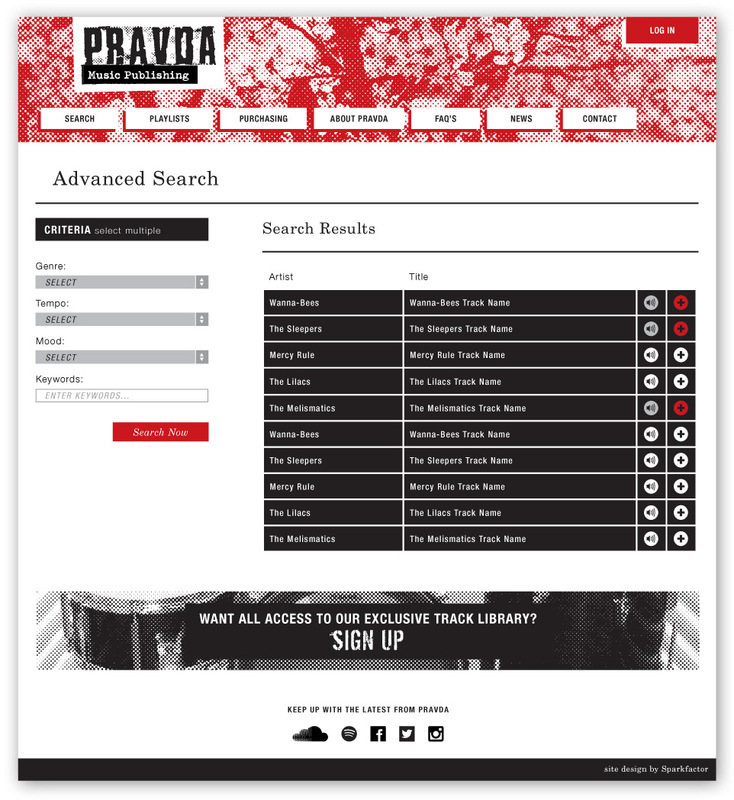 Over thirty years, Pravda grew their catalog and moved into commercial licensing. Pravda hired Sparkfactor to bring the power of automation and content management to the licensing side of their business. The site features a design that reflects their punk heritage and their unique music catalog in the spotlight. The site’s back end is powered by WordPress with an innovative use of Soundcloud’s pro account integration.